Junior Cara Roth is a second year staff member and first year Multimedia Editor of The Brantley Banner newspaper. Cara’s passion for writing and journalism inspired her to join staff and her love for helping those around her inspired her to become an editor. 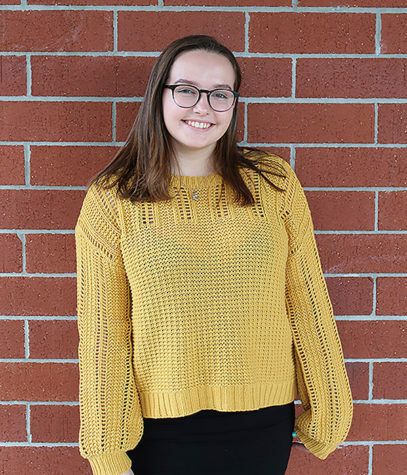 In addition to her work on the newspaper, Cara is also a member of the Patriots’ Pride yearbook staff, as well as being a member of several honors societies and clubs, such as Mu Alpha Theta, National Honors Society, English National Honor Society, and Quill and Scroll. Cara also volunteers at the Alzheimer’s Association, as she has for the past eight years. In her future, Cara hopes to attend the University of Florida to double major in Journalism and Psychology before moving to Los Angeles, California to work at BuzzFeed while continuing her education at the University of Southern California. Cara’s exciting experiences during her high school journalistic career will carry her through the rest of her life as a reporter.